ST. LOUIS, Apr. 25, 2014 – KellyMitchell Group, Inc. (KellyMitchell), a national technical consulting firm, is awarded 31st on the 2014 list of 50 Fastest Growing Women-Led companies by the Women President’s Organization (WPO). 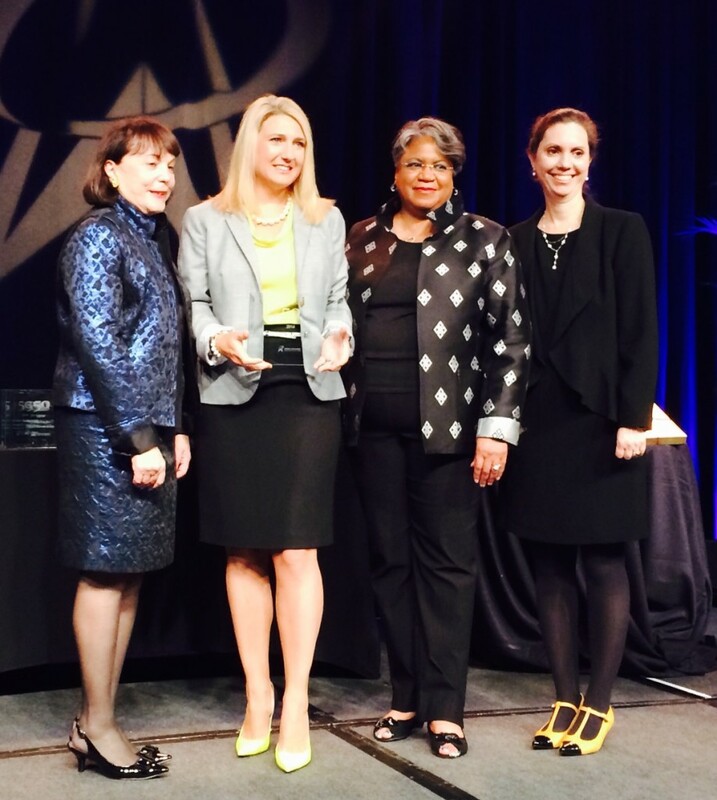 This is KellyMitchell’s third time honored on WPO’s 7th Annual list of 50 Fastest-Growing Women-Owned/led companies around the globe.Cassandra Sanford, KellyMitchell Founder and CEO accepted the award at the 2014 WPO Annual Conference reception in New Orleans on April 24th. “The companies that made it onto our list this year reflect the continued resourcefulness of women-led businesses,” said Marsha Firestone, Ph.D., president and founder of WPO. KellyMitchell was founded in 1998 by previous Boeing employees with the belief that they could provide Fortune 500 companies with the same high-quality, technology professional services as the Big 4 consulting firms. Today, KellyMitchell is a privately-held, women-owned, flexible IT workforce solutions firm dedicated to matching the best IT and business talent with exclusive opportunities on an international scale. With 15 branch offices and more than 2,000 employees, KellyMitchell assists Fortune 500 clients in achieving their IT, Business, and Financial goals by providing a flexible and skilled workforce that meets their needs. The WPO is a non-profit membership organization for women presidents of multimillion-dollar companies. Members of the WPO take part in professionally-facilitated peer advisory groups in order to bring the ‘genius out of the group’ and accelerate the growth of their businesses. About KellyMitchell Group, Inc. At KellyMitchell, we’re passionate about helping companies solve their biggest IT staffing obstacles. As an award-winning, women-owned business serving Fortune 500 companies on a national scale, we’re poised to deliver expert help and excellent value at a moment’s notice. For more information, please visit www.kellymitchell.com, and be sure to follow KellyMitchell on Facebook, Twitter, and Pinterest.